With the demand of individual online orders accelerating, distribution centers are struggling to maintain their ability to service store fulfillment orders. This growth has distribution centers running 24/7 just to keep up, putting strain on the equipment and limiting time for repairs. The focus is on units shipped, and sometimes management is less concerned with the ability of maintenance to do their job effectively as long as product is moving out the door. Maintenance departments have been tasked with keeping all of the automated storage and retrieval systems, sorting systems, and automated guided vehicles operational with less downtime. For retail DCs, the upcoming holiday sales rush will greatly increase DC volumes, putting further pressure on maintaining equipment. If you’re not already doing so, it is a great time to start looking at Key Performance Indicators (KPIs) and what they can tell you about your maintenance department’s chances for success. Having the right KPIs allow you to track performance over time to identify areas for improvement. 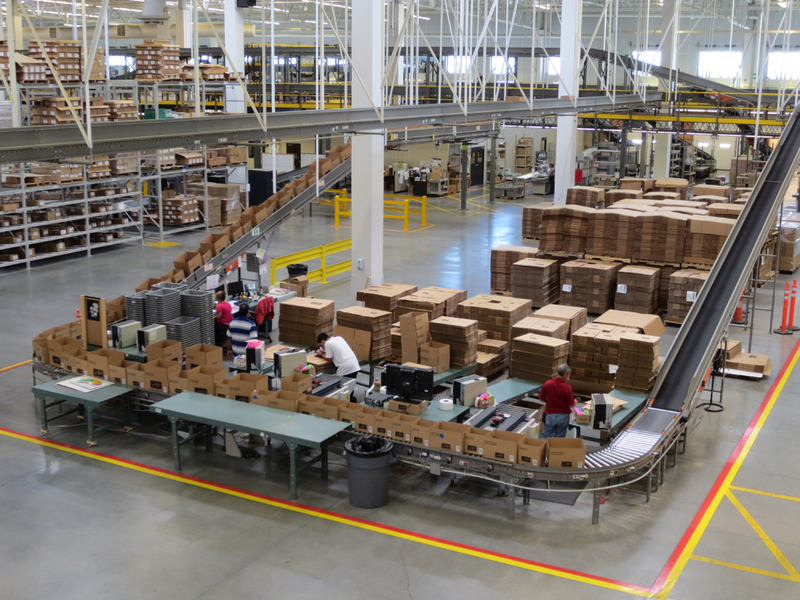 What KPIs work in a distribution center environment? As an overall performance measure, maintenance cost per unit shipped provides a comparison based on output volume of the DC. This will help find the optimal point for equipment performance. It is important to include all costs associated with maintenance so that you get an accurate and complete picture of what it takes, from a maintenance perspective, to ship a unit. The value of this metric can vary greatly from industry to industry, depending on your distribution methods and the types of goods you distribute. Example: Widget Distribution Center has the following costs associated with shipping 1,573,234 units last month. So what do you do with the 0.075 dollars per unit shipped? The first thing is to track this metric with regular frequency. Set your time frame intervals far enough apart so that you can level out inconsistencies, but not so far that you lose valuable data points. Monthly and quarterly are generally good intervals for this metric when you get started. Total available time is 8,760 hours for a normal year. Idle time is the number of hours the equipment was available to perform work but no work was performed. Downtime is the amount of time that the equipment was unable to perform work, not including idle time. For 24/7 continuous operations, an uptime of 98% is considered world class. That’s less than 200 hours annually for downtime and idle time for the entire facility. Most facilities do not meet this metric. Additionally, uptime can be tracked by line or equipment. Uptime does not take into account quality of product and design output of the machines. Some companies have implemented OEE, or Overall Equipment Effectiveness, as a KPI to account for these factors. Both Uptime and Maintenance Cost per Unit Shipped can help you understand the performance of your maintenance department. Tracking performance and cost at a high level provides a baseline for your facility’s operation and allows set goals to improve. The first step in an improvement plan is to assess your current condition. TTS brings an unbiased evaluation of your people, processes, and equipment operation. 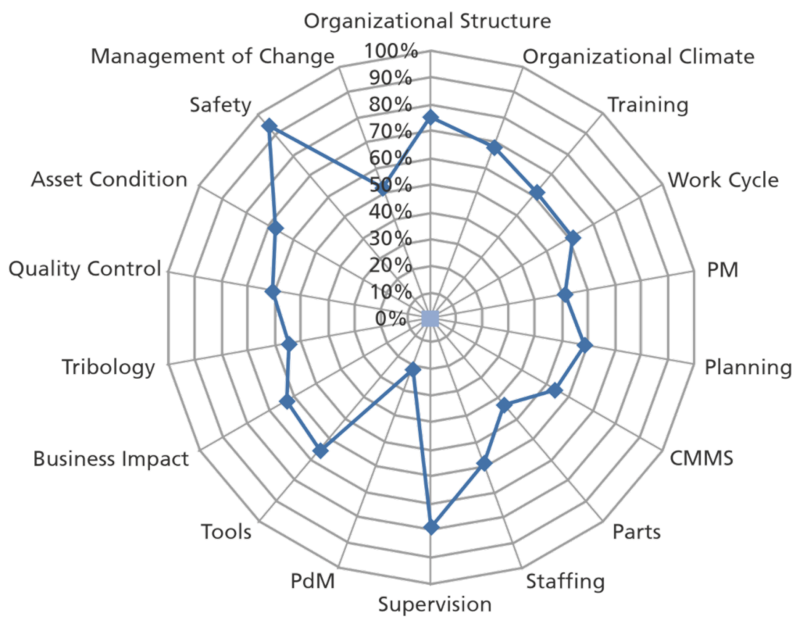 This assessment identifies the well performing areas and the areas with potential for improvement. TTS works with our clients to construct development plans that identify the impact of implementing changes. Contact Preston Jolly today at pjolly@techtransfer.com and learn how we can help your organization! Preston Jolly has over 10 years of experience related to the application of improvement techniques and project management. He works to create value added maintenance and reliability efforts, providing expert analysis to capture and recreate best practices, and to transfer critical knowledge across an aging workforce. Preston is a Project Manager for Technology Transfer Services, Inc. in Tampa, FL and holds the CMRP certification from the Society of Maintenance and Reliability Professionals.